SHOULD I DRINK A SHAKE BEFORE OR AFTER A WORKOUT? Most of us probably consume some type of protein-based drink after our training sessions, but why? 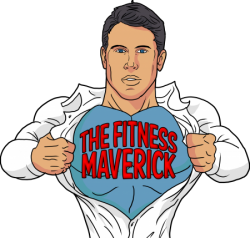 And could having that same protein drink pre-workout versus post-workout be a more effective strategy for promoting recovery and increasing lean muscle, size and strength? 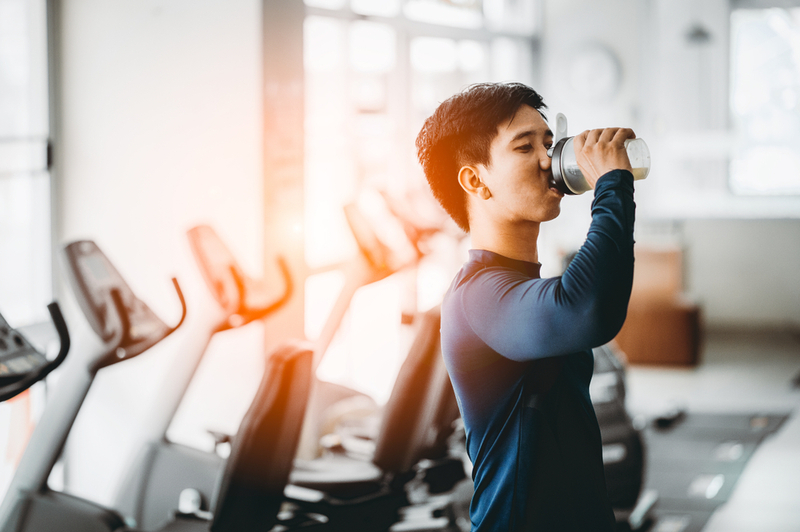 An abundance of scientific research has shown that post-workout supplementation with protein could increase muscle-protein synthesis and reduce protein breakdown. In simple terms, supplementation with protein can enhance the effectiveness of your workout, and promote muscle recovery and adaptation. Your post-workout drink is an important part of your diet and highly recommended by experts to maximise your results. During resistance training, two actions in the muscles are stimulated simultaneously – catabolism (tissue breakdown) and anabolism (tissue growth). The factor that affects which one is favoured in the body the most is called ‘net protein balance’. A positive net protein balance favours anabolism, and a negative one favours catabolism. Consumption of adequate protein puts the body into positive net protein balance, therefore enhancing muscle repair and growth. Increased levels of amino acids in the blood from ingestion of protein or amino acids before or during exercise may counterbalance the net loss of muscle protein more efficiently than solely post-exercise. A combination of amino acids via a protein or amino acid supplement, such as Branched Chain Amino Acids (BCAAs), can be consumed in order to increase amino acid availability. BCAAs are thought to be particularly important as approximately 35% of muscles are made up of these amino acids. BCAAs are oxidised in the muscle during exercise, therefore replenishment during exercise is thought to minimise muscle catabolism. An early study by Tipton et al. (2001) compared the consumption of an amino acid and carbohydrate drink before a resistance exercise session versus post-exercise. The idea of the study was to explore whether the consumption of a combination of amino acids and carbohydrate before exercise would have a greater effect in stimulating muscle-protein synthesis, than if the same mixture were to be consumed in the post-exercise period. This was a well-designed study involving both male and female volunteers, who were randomly assigned to different groups. The participants consumed either a 500ml solution of amino acids and carbohydrate and a placebo solution post-exercise, or the placebo pre-exercise and amino acids and carbohydrate solution post-exercise. The resistance exercise consisted of 18 sets at 80% 1 rep maximum of various leg resistance exercises. A number of blood samples and muscle biopsies were taken at various times throughout the study. 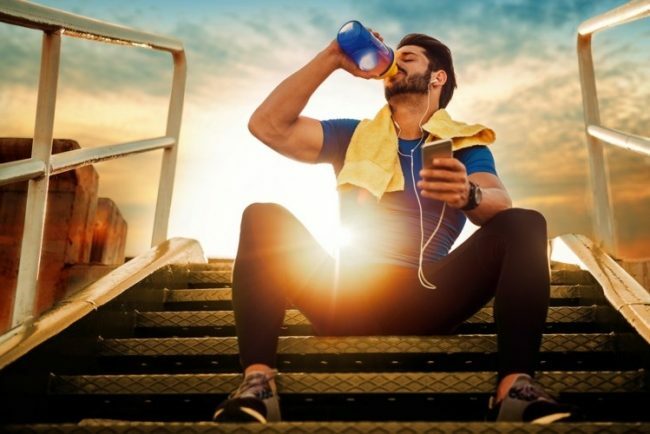 The results of the study suggest that the consumption of an essential amino acid and carbohydrate drink immediately before exercise has a greater response on net muscle protein synthesis, compared to the consumption of the same beverage post-exercise. This is primarily due to an increased delivery of amino acids to the muscles, thereby decreasing catabolism and enhancing post-exercise anabolism. This study demonstrates that there can be an enhanced effect on muscle-protein synthesis when consumption of protein and carbohydrate takes place prior to exercise compared to post-exercise. Furthermore, a 2007 study by Baty et al. reported that supplementing with a carbohydrate-protein supplement before, during, and immediately after resistance exercise reduced the appearance of blood levels of myoglobin and creatine phosphokinase (CPK) during and following exercise. This would suggest that carbohydrate-protein supplementation can limit muscle damage that occurs both during as well as after exercise. Although it’s unclear in this study as to whether it was the pre-, during- or post-exercise supplementation that had caused the response, the combined ‘peri-workout’ supplement protocol had an acute effect that could ultimately lead to greater long-term adaptations. What’s The Best Type of Protein? The responses seen in the above studies may be highly dependent on the protein source and timing of ingestion. There’s very little quality research that provides practical recommendations with regards to timing of ingestion of a pre-workout protein drink. However, consumption within a 30-minute window before your workout should allow some of those amino acids to be in your bloodstream by the time you begin your workout, if the right protein sources are ingested. Tipton et al. (2007) further built on his previous research by later demonstrating that intact protein ingestion does not respond as does that of free-form amino acids. The use of intact protein sources, such as whey, egg or casein protein could be considered inferior for this specific purpose, although perfect at other times, such as after a workout. Use of free-form amino acids such as BCAA’s and EAA’s would be the preferred choice pre-workout, as well as what could be considered the next generation of proteins, in the form of hydrolysed proteins (such as hydrolysed whey and hydrolysed casein). These protein sources containing mostly di- and tri-peptides are considered to be absorbed much faster than intact proteins and even free-form amino acids, and have been demonstrated to induce greater insulin responses, as well as enhanced amino acid availability when consumed pre-exercise. In summary, consider switching your post-workout protein shake to having one within 30 minutes prior, or both before and immediately post. Making this minor change to your supplement regime maximise the effectiveness of your training and optimise your recovery and your results. Whey Protein Shakes | What Do They Do?